It’s kind of amazing that it was only two decades ago that the first electric breast pump for personal use was manufactured. Nowadays, if you have chosen to breastfeed, it’s likely that you have bought or at least thought about purchasing one for yourself. Lots of women pump for lots of different reasons; some women work outside the home, some women are not able to breastfeed but still want to feed their babies breastmilk, some women want to donate their milk to milk banks or other moms and still others, like me, simply want to keep an “emergency stash” of breastmilk in the freezer so we can pop out of the house once in a while for some alone time. I have owned two pumps in my breastfeeding career. The most recent one being the Ardo Calypso-To-Go breast pump. The first thing I noticed when I opened it was that it comes with a great bag. Like a really well made, sturdy, stylish roomy bag. Also, the pump motor is small. It comes with a manual pump that can be thrown into a purse for shorter times away. I opened the bag and dumped its contents onto the floor and had a mini anxiety attack. This is pretty common with me when I think something is going to be too complicated for me to figure out. I had the same reaction to the first pump I owned. I picked up the user manual for the Calypso-To-Go and it was one piece of paper folded over a couple of times. I feared it would be like the time when my grad school professor handed me a 25 page syllabus for his class and I proceeded to faint; imagine my relief. The Calypso-To-Go is a complete WHO Code Compliant breast pump set made in Switzerland that comes with all the pieces you will ever need including, travel bag, storage and cooling bag with bottles, bottle holder, conversion handle so it can be used as a manual pump, Optiflow for breast massage, 3 different breast flange sizes, cleaning brush and pump spare parts. The Calypso Double Plus is another pump option from Ardo. It comes with 3 different breast flange sizes, Optiflow for breast massage, bottle holder, cleaning brush and pump spare parts. I skimmed the user manual and looked over the parts and saw that I wasn’t going to need to read much, the pictures showed clearly what pieces go where. It was a quick process figuring out which parts would go into the cupboard and which parts would stay out at my pumping station. 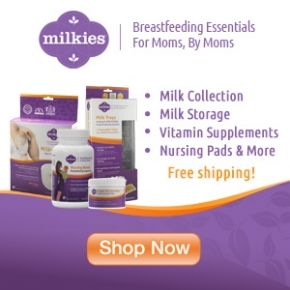 The BPA free breast pump can be used with an outlet or with batteries. The Ardo Calypso-To-Go breast pump comes with 3 different flange sizes so you can find the one that fits your unique breasts best; this is important for getting the most milk. It also comes with the Optiflow. This is a silicone insert for active breast massage. The Optiflow fits into the breast flange and massages the areola. This gently stimulates the milk ejection reflex for efficient milk expression. Once my girls were all set up inside the perfect-fit flanges it was time to see what this bad boy could really do. The suction and speed can be adjusted individually and there are 64 total settings possible. My first pump had only one setting so if I wanted it to pump faster my sensitive lady parts felt like they were going to be sucked completely off of my body into the bottle. Not a problem any longer. I liked adjusting these settings throughout the pump session. Starting with a nice gentle setting to bring on a letdown and then turning it up later to express more milk. I got more milk with this breast pump than my previous pump. It seems pretty obvious to me that it has most to do with comfort and control. We don’t express as much milk when we are uncomfortable and have less control over the settings for our individual needs. The setup is quick, it comes with a bottle holder attached to the motor itself which is small and lightweight, the parts are easy to figure out, the settings are obvious (push this button, feel the suction increase, push this button feel the speed increase), detach the bottle of milk (or freezer bag since you can pump directly into a freezer bag if you wish) and place into the insulated cooler or freezer, rinse parts and place into microwave steam cleaning bag. My old breast pump was an “open system.” This means that there is no barrier between the milk collection part of the pump and pump mechanism itself; milk can be drawn into the pump mechanism, milk is exposed to the air during pumping, milk can be sucked into the tubing and condensation can build up in the tubing leading to mold and mildew. The Ardo Pump is a “closed system.” The barrier in between the milk collection side and pump tubing keeps breastmilk from being exposed to the air maintaining its purity. Milk also cannot enter the motor or tubing preventing mold and mildew. The Ardo Pump is noticeably much quieter than my previous pump. In fact, it is the quietest breast pump on the market. Click here for the sound tests and noise reports. This makes a big difference for many women in being able to relax. This pump will not be screaming obscenities at you while you are trying pump at work or while the baby sleeps. The warranty with the Ardo pumps is 400 hours or 1 year, whichever works out best for mom. 400 hours is typically enough pumping for 2 consecutive babies. The green light on the pump indicates that it is still under warranty. You can simply contact Ardo if something goes wrong with the pump and it will be replaced regardless of when you bought it. After the warranty ends the light turns orange. Other pumps warranty on when you purchased the pump. For the exclusively pumping moms who might use a pump more than 400 hours in a year the 1 year warranty is still valid for her. I have been looking at this pump for a long time. I think it’s best features are that it’s suction is powerful enough to be used to increase milk supply and that unlike many pumps it s a closed system, keeping the milk protected. It is also very portable and convenient and it is great that it is quiet and discreet. I think it is an excellent pump which will help many women especially those who have to pump at work. I would love one! Is the coupon code expired, or is there a typo? I got Coupon code “ARDOMOMS” is not valid on their site. Can you only use the Ardo bags with it or is their the option to use bags from a store too? Okay so I absolutely hate this pump. My daughter is 2 months old and already had to have a replacement pump body!! And seems like everytime I go to pump I get milk in the hose. I have watched YouTube videos to make sure I put it together properly and still I get milk in the hose. The standard flange for this pump is 26 and I have to use inserts to get a good pump. There is no let down button and I struggle with let down with this pump!!! It takes me FOREVER to pump!! I got my pump through insurance and now saving money to buy a new pump!! ABSOLUTELY HATE THIS PUMP!!! !